Celebrities cheating isn't new. But being public figures, the audacity of some of their infidelities can often be shocking. 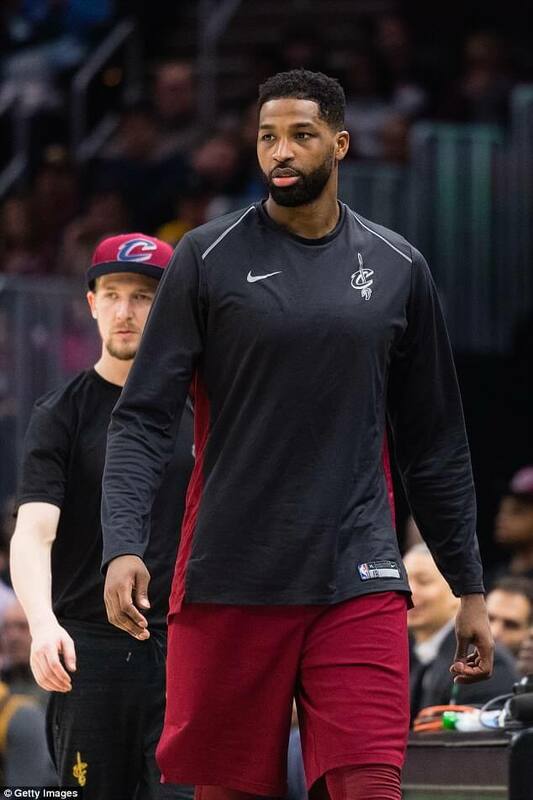 And here's a new shocker for you: the Tristan Thompson and Khloe Kardashian cheating scandal is getting uglier by the day as more sleaze is unearthed. I mean, Khloe Kardashian's boyfriend and baby daddy has been a busy man behind the scenes of his main relationship. He who was so admired for his seeming devotion to the Keeping up with the Kardashians star is now facing some heavy scrutiny and fire after emerging as the main subject of the sore topic of serial cheating. Here are some of the women the basketballer was caught cheating with. This Thursday, the towering NBA star was spotted,photographed an even videoed, hanging out, kissing and otherwise intimately engaging with women who are not his reality star beau. In stark fashion, Some of the 27-year-old Cavs player's playtime surfaced in several videos. First of all the Cleveland Cavaliers player was photographed kissing a woman in a New York City rooftop bar, called PH-D Lounge. Tristan was in town that Saturday ahead of a game against the New York Knicks scheduled for Monday. The photographer reported that he was making out with the woman all night." Secondly, The Shade Room published indiscreet photos and video of Tristan entering his hotel with a woman. According to the outlet, they entered the hotel together and emerged together with Thompson wearing a different outfit.The pair reportedly returned early the next day on Sunday morning. The woman was spotted leaving the hotel alone later that night with a large bag. Well Apparantly, Thompson's indiscretion has been going on for quite sometime. An October 2017 security video footage obtained by TMZ surfaced recently. The footage shows Thompson kissing one woman and getting real intimate with another woma while inside a hookah lounge near Washington, D.C. Neither Tristan Thompson nor Khloe Kardashian have released any public comments regarding the cheating reports. On the surface, all seems calm as the family continue to dazzle fans with their holiday pics and lifestyle scenes. But Behind the scenes, the Kardashian clan are devastated as they rally around "heartbroken for Khloe,". They are just beginning to realize just how deceptive and dishonest Tristan really is. But other famous celebrities have come forward with their support for Khloe. Amber Rose who isn't in the best of terms with Kardashians, expressed her understanding of the pain Khloe must be going through especially at such a sensitive period of her life. "God bless you and your baby." She ended her since deleted instagram post. Even the basketball player's ex-girlfriend and mother of his Son, Jordan Craig, reached out to Khloe in support.